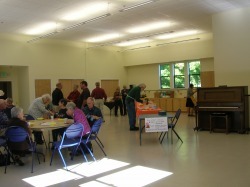 In 2010, the old "Ivy Church" completed an extensive renovation of our Fellowship Hall, restrooms, kitchen, and nursery. We hope you will find the perfect space for your needs. 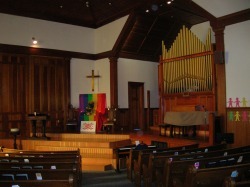 The United Church of Cloverdale's Sanctuary provides a lovely location for weddings, memorial services, and religious events. Our hall is available for meetings, events and receptions. 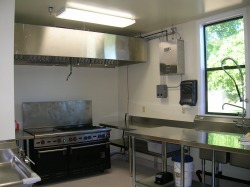 We have a full commercial kitchen, available for use during events and receptions, and also for rental by professional chefs, bakers and caterers. Contact Us to inquire about facilities rentals.